The world witnessed a massive refugee situation in the borderland of Bangladesh and Myanmar in 2017, where an extreme form of brutality perpetrated by the Myanmar security forces forced hundreds of thousands Rohingya people, known as the world’s most persecuted ethnic minority, fled to Bangladesh. Myanmar security forces, Burmese (Bamar) ethnic extremists and Rakhine Buddhist fundamentalists combinedly formed an alliance to perpetrate a deadly operation, called clearance operation, started from August 25, 2017, which, a recent report prepared by a three-member-panel appointed by the United Nations shows, compelled more than 725,000 Rohingyas to flee to Bangladesh, about 10,000 Rohingyas were killed in the first two months, hundreds of women and girls were raped, and around 392 villages were partially or totally destroyed. Combined with previous and new arrivals, now Bangladesh hosts about 1.3 million Rohingya refugees in Cox’s Bazar, its South-eastern part, which is considered as the world’s largest refugee camp. 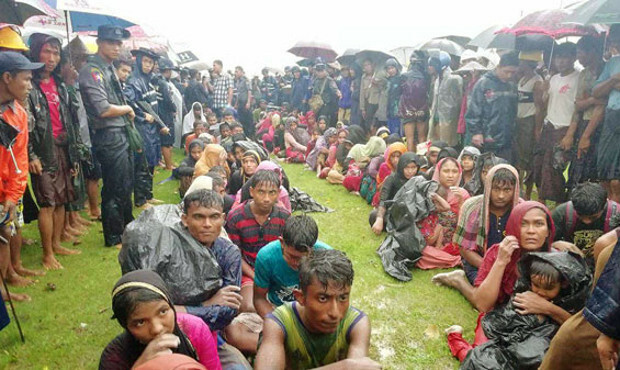 The newly arrived Rohingyas in Bangladesh explained their horrible experience and the degree of atrocities was so intense that the UN Human Rights council time and again termed it as “a textbook example of ethnic cleansing” whilst many others called it genocide. Even before the massive campaign in 2017, some credible research like the ones published by Yale Law School and the research team of Queen Marry at the University of London found that the way Myanmar security forces were dealing with the Rohingya people is undoubtedly a genocide. The campaign in 2017 seemingly superseded all previous records. Even after such a massive Rohingya influx and despite all out criticisms across the world, the remaining Rohingyas in Arakan still face an acute sense of vulnerability and are consigned to a life of fear. Notwithstanding the prevailing contested situation, Bangladesh and Myanmar made an attempt to start off repatriation process from mid-November, but expectedly failed. Many international actors, rights bodies and even many local people have “doubt” whether the start of repatriation process means really a “start” or an “end”! Will it really bring any lasting solution without addressing the strong Muslim-Buddhist divide, Rakhine-Rohingya ethnic cleavage, state’s exclusionary policy, and the question of legality of the Rohingya people in Myanmar’s state structure? Many policy analysts, political scientists, academic researchers, and career diplomats might come up with an imagined or intelligent prescription suggesting many potential bilateral and multi-lateral engagements and actions, but I intend to unfold here the ways how the Rohingya refugees, the center-point of the entire discussions, want the solution of their problems in which ways.